Michael Dell is feeling aggressive. 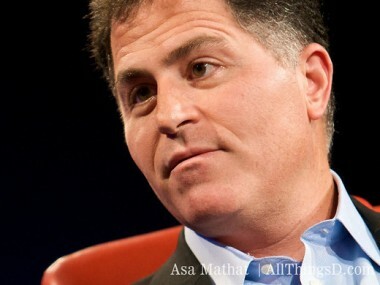 Fresh off the vote by which shareholders approved his plan to take the company that bears his name private in a $25 billion transaction, Dell the man is ready to get down to the business of running Dell the company in a manner not possible since its earliest days. Once the buyout transaction closes, the only three constituencies Michael Dell will have to answer to as CEO of Dell Inc. are himself, his partner at the private equity firm Silver Lake, and his customers. And it’s clear that he’s eager to get busy. The way he sees it, the opportunity has never been bigger. Ask him skeptically about the personal computer industry — which his company once personified — being down in the dumps, and he’s quick to pivot toward talking about the multitrillion-dollar market for global IT. PCs are just part of that picture and, while still a key piece of Dell’s foundation, the meatier part of the business he intends to build is in supplying large companies with a full slate of products and services that will help them get things done. Aside from not having to meet the expectations of shareholders, he’s also looking forward to thinking about the business in a longer-term fashion. The quarterly practice of buying back shares and paying dividends intended to satisfy impatient shareholders will be replaced by investments in every facet of Dell’s business. And, while there will be payments on the new debt the company is taking on, it won’t be nearly as big as those quarterly dividends and buybacks. I met him in his San Francisco hotel Tuesday afternoon, ahead of his Wednesday keynote speech at Oracle OpenWorld, the massive IT industry event hosted by the software giant Oracle, which just happens to be a significant Dell partner. I started by asking him for a preview of what he expects to talk about. 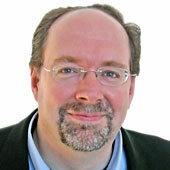 AllThingsD: You’re here in San Francisco to speak at Oracle OpenWorld. Let’s start with that. Can you give a preview of what you’re going to talk about? Michael Dell:: There will be a deeper integration with Oracle on enterprise management. Oracle has previously said that Dell is its preferred partner on industry-standard x86 hardware. We’ve done a lot of engineering work together, so our x86 [Intel] platforms are totally integrated with their enterprise-management console, so they’re easy to get them working together. It’s the first time we’ve ever done anything like that. So, we’ll talk about that. … I’ll talk about our continuing progress on services, and why we’re going private. This is my 10th time speaking at Oracle OpenWorld; I think the only one who’s been on the stage more than I have is Larry Ellison. So, you’ve just won the approval from shareholders to take Dell private. First off, when do you think your last day as a public company will be? We expect the transaction will close by the end of our third quarter, which is at the end of October. Then let’s look ahead. What does the new Dell look like six months or a year from now? You only have to answer to yourself, Silver Lake, and your customers now. We’ll be very focused on our customers. The strategy that we outlined back in February is the same one that we have now. We’re very focused on building our end-to-end solutions capability. Last quarter, the enterprise servers, storage, services, security part of Dell grew nine percent. We’re going to keep building those capabilities with R&D and acquisitions and investment, and where we need partnerships. I spent part of today talking with customers in the health-care space. We have a leading position in health-care IT. We’ll build out vertical expertise like that. We have a security business that’s now worth about a billion dollars. We’ll keep building out the solutions. Secondly, we’ll build out our sales force and channel partnerships. There’s a lot of customers we haven’t reached yet. Both. We see a lot of growth in small to mid-sized customers. We build solutions that can scale to meet the needs of the largest companies in the world, but which are easily adoptable by small and medium-sized companies that are too big to go to a retail store to get their IT, but too small to get the attention of the direct sales forces of typical IT companies. … We’re also really active in emerging markets. We’ve been active in all the obvious ones. But we’re also really active in the outer reaches of the emerging market. We have a billion-dollar business in Africa that is growing rapidly. We’re also active in southern Asia. We’re expanding our pro support for mission-critical services into countries like Ghana and Kazakhstan, and Ivory Coast and Croatia and Nigeria. All these countries have governments and telcos, financial and energy companies, all of which need serious mission-critical IT. Half our business today is outside the U.S.
Let’s drill down on that a bit, because you know as well as I do that this has been the worst PC market, globally speaking, since records have been kept. You’re still pretty well exposed to PCs, but the market is declining. What about that? You’ve seen more PC business cycles than anyone in the industry. When do you think it’s going to level off? There are many different kinds of PCs. You have fixed, virtual, tablets, notebooks, Ultrabooks, desktops, workstations. What you find in commercial PCs, business PCs, is that there’s a really long tail of usage on client devices. Absolutely, there is growth in other kinds of mobile devices. The way to think about this is like forms of transportation. You have all different ways to get where you’re going. You can walk, you can ride a bike, or drive a car, or ride on a submarine. Because you get one doesn’t mean you get rid of the other one. Just because I ride a bicycle doesn’t mean I also don’t sometimes need an airplane. Computing shows up in many different ways. You have computing that you wear, computing that you carry. What you think of as the traditional PC market has a long tail of usage, particularly in the commercial world, but also in consumer. You’ll see another significant wave of tablets from us in the coming weeks. You’ve also said you need to make some investments. You’ve talked about acquisitions, research and development, and other things. What do you have in mind? That’s investments that we’re making in our business to make it easier for customers to do business with us. We’ll be accelerating investments that as a private company we’ll be perfectly comfortable making. Because we think they’ll yield good returns over the long and medium term. We feel great about our capital structure. A lot of people expect that after a few years you’ll want to come back to the public markets, maybe several years down the road. Do you see that happening? We haven’t even gotten this one taken private yet. It’s way too soon to think about that. Don’t you think it’s a little early? [At this, he laughs.] Right now, it’s great to be able to focus on our customers. We have good cash flows. The interest payments will be less than the annual expense that we had been paying for share repurchase and dividends. We like the opportunity to invest in R&D, in our own growth, hire more salespeople, and think about the business in a three-, five- and seven-year time frame. So, let’s talk about the competitive landscape. How does Dell stack up against, say, Hewlett-Packard, Lenovo, IBM and all the others? If you check the latest IDC information, we keep gaining, not just in one category, but in several. For the first time since 2007, we’re No. 1 in displays again. We’ve been the only guys gaining share sequentially in PCs for the last two quarters. In servers, we’ve been seeing really dramatic gains, while the other guys have seen equally dramatic declines. You seem like you feel aggressive again. We know you’re going to be aggressive on pricing. That’s a good bet. We’ve always been. If you look at our product introductions, we’ve been doing a great job staying out front in terms of new releases. Products are getting stronger. We’ve been gaining share, and we’ll absolutely stay aggressive. We want to get in front of a lot of new customers, and build a lot of new customer relationships. Is the PC still the beachhead on which you build those relationships, or is it more complex than that? It’s not quite so simple. In many cases, it’s the server. In some cases, it’s the PC. Those are clearly foundational businesses for Dell. But we also have several vertical disciplines and a capacity to meet some of the big unmet needs that big companies have. Some examples include insurance or health care. The challenge that we observed several years ago, and why we went into building our service capabilities, was that we’d show up at the customer’s door with PCs and servers without really knowing anything about their specific problems. You have to have more expertise. Security is one of these things that is a big problem, especially in financial service. That has enabled us to solve some of the biggest problems that banks have, and that gives us an opportunity to provide more things. That keeps the enterprise portion of the business growing. You did a lot of acquisitions before the buyout transaction; some were pretty big, others smaller. What do you think your deal pace will be like once you’re private? We’re in pretty good shape. There’s not big areas where we’re missing things. We feel pretty good about the portfolio that we have. You’ll see us do things from time to time. There aren’t any huge deals that we need to go do. An important thing to remember is that partnerships and alliances are a pretty important part of all this, as well. You don’t have to own everything to be effective. What does the growth in the software-as-a-service companies like Salesforce.com and Workday, and others like them, mean for Dell? Pretty much every software application I can think of is now available in the cloud, which means the companies that run them aren’t buying servers from companies like yours. But those SaaS companies are buying them. They’re great customers. And then we have services like Boomi that helps their customers integrate their SaaS applications like Salesforce with their on-premise applications. Whenever there are changes in the computing model, and as costs come down, there are new uses that pop up. The net of it all is that the consumption of IT power continues to grow at a very rapid rate. Our server and data-center business both continue to grow in spite of all the shifts to the cloud. They seem to widen the usage pattern for IT in general. One workload may move from one place to another, but at the same time, a lot of other workloads were created in the process.